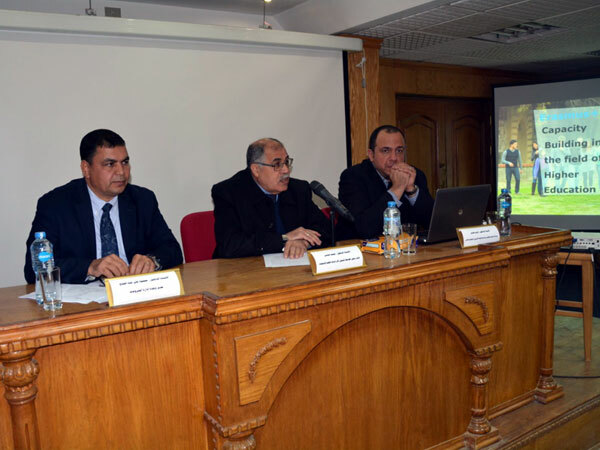 Prof. Mohamed Essa, Vice President of Fayoum University for Postgraduate Studies and Research Affairs, attended a workshop on the EU program "Erasmus" on Sunday 6/1/2018 that was held under the auspices of Prof. Ashraf Abd El-Hafeez, Acting President of the University. 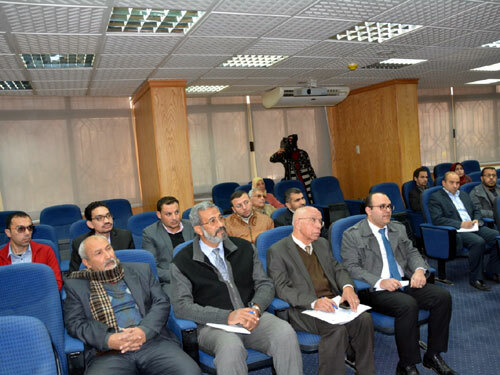 The workshop was attended by Prof. Mahmoud Ali, Director of the Projects Management Unit, Eng. Kareem Hamdy, Assistant Coordinator of the European Union Erasmus Program in the Ministry of Higher Education and a number of faculty members and their teaching assistants. Prof. Mohamed Essa stressed at the beginning of his speech the importance of the program in encouraging researchers to submit research projects funded by the European Union to achieve more of their research and material objectives through the provision of equipment and salaries for these projects. He also pointed out that Fayoum University has received more than 6 projects within the EU Tempus programs during The period from 2009 to 2014 including two projects in Faculty of Science aimed at establishing scientific degrees in the field of solar energy and nanotechnology in addition to a project in Faculty of Agriculture in the field of biotechnology in cooperation with several Egyptian and foreign universities aimed at establishing a master's degree in Egyptian universities. Besides, a project in the development of university leadership in collaboration with Cardiff University, a project in the field of sustainable development in education in cooperation with the Akhn University, and a project in Faculty of Engineering, aimed at exchanging students and exchanging faculty members in short scientific assignments. On the other hand, Eng. 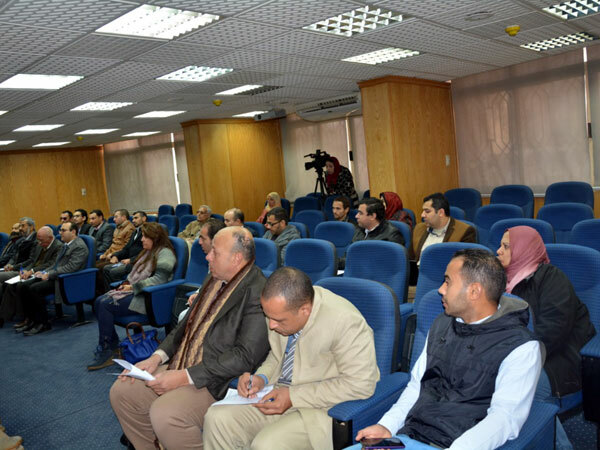 Kareem Hamdy said that the projects of Erasmus are three types which are capacity building, development of scientific programs such as diploma, master's or PHD, and exchange projects for students and faculty members (Mobility Exchange). Prof. Mahmoud Ali said that winning projects, whether coordinator or partner develops and improves the quality of scientific research through the availability of facilities and laboratories, which affects the impact on the faculty or university and increases the opportunities to participate in international conferences and the publication of international scientific research and therefore encourages Fayoum University to advance new scientific ideas and modern and innovative outside the box to increase chances of success in the project.